When boasting I was making this dish to one of my coworkers, I was promptly scolded because she could not believe that I would make a dish with canned mushrooms, instead of fresh. Well, fresh or not, this recipe is H-O-T! 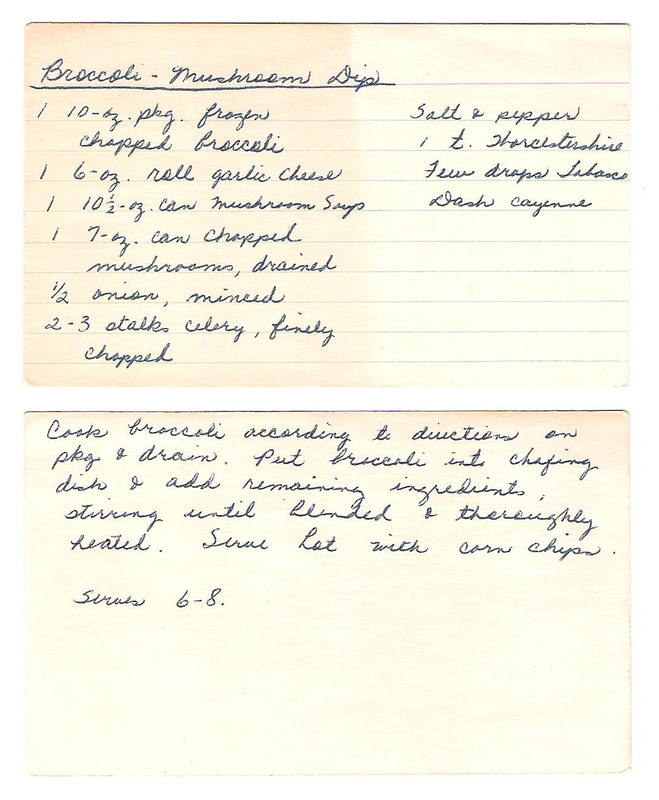 Enjoy it on game day or any day you want a little taste of 70s cooking. 1. Cook the broccoli according to the directions on the package *and drain*. I forgot to drain the broccoli, so my dip was a little soup-y. 2. 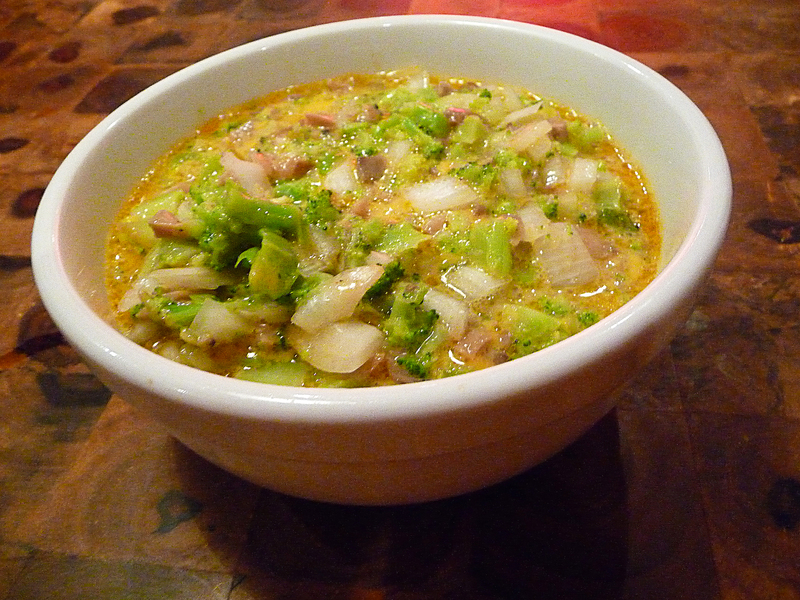 Transfer the broccoli into a chafing dish and add the remaining ingredients. Stir until blended and thoroughly heated. 3. Serve with corn dips (I prefer Frito’s brand “Scoops” corn chips)!